It is natural for you to think that as you have bought a fridge that comes with 5 or more years of warranty, it’s not going to trouble you. However, in reality, an emergency can arrive at your door in any shape or form, and if you don’t know what to do at that time, it can cause more trouble for you. The blog is not about the signs indicating problems with your refrigerator. Instead, it focuses on how you will troubleshoot the situation in the case your fridge just shuts down. Maybe you have ignored all the signs that were eventually indicating an entire breakdown of your refrigerator. And, you could not avoid the consequences. However, there is no need to panic when you have the contact details of the expert on fridge repairs in Campbelltown associated with Fast Fridge Repairs with you. It can be managed with efficiency if you know the possible reasons for such a sudden breakdown and the steps you need to take afterwards. Above all, you have our contact details. So, you can always call us, anytime! Check out some of the factors related to an emergency breakdown of refrigerators below. What Can Trigger A Sudden Shutdown? Well, a refrigerator is more like a human body. Everything is connected to each other, and a simple malfunction in any of the components of your fridge can cause such a situation. Specifically, the thermostat, fans, overload switches, coils and frost controlling units are the most critical zones where the prime malfunction can occur. Although, these units can withstand simple breakdowns, when it comes to any serious issue, these units can barely resist that, and due to lack of maintenance, your refrigerator can shut down. 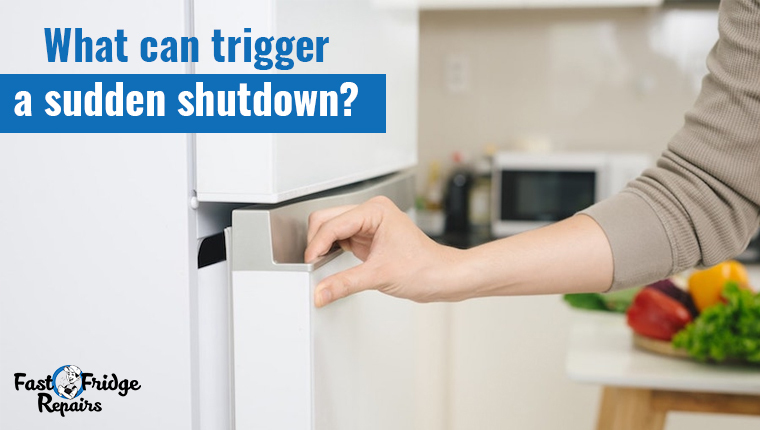 In the case your fridge shuts down entirely with the lights off, you should first check the breaker and fuse. You can turn the breaker on and off. If the fridge starts working again and the light is back then consider everything to be okay for them. However, it will not work, if the fuse is tripped in any way. So, in that case, you are required to replace the fuse with the help of professionals. Checking the compressor is another step. You can unplug it from the switchboard and leave it like that for the next 2-3 hours. In the next level, you can consider plugging it again, and if there is no significant fault happened, it will start working again. 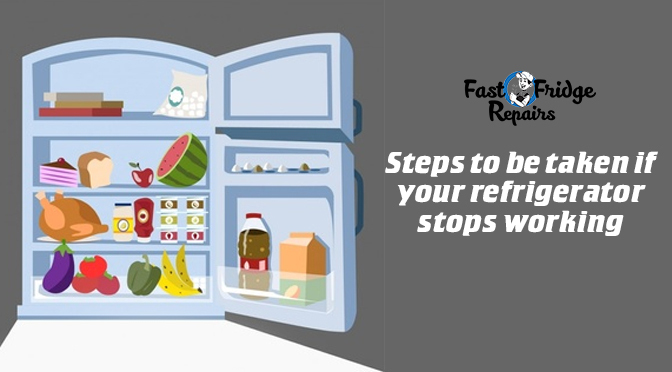 Adjust the temperature setting of your freezer and wait for your fridge to start again. Sometimes, you forget the rules of keeping the temperature right according to the temperature outside. According to the experts of fridge repairs in Wetherill Park, it should be checked every day to make sure the temperature fluctuation does not spoil your food or damage the compressor. In many cases, keeping the fridge door open for too long can also cause this fluctuation. So, it’s better to keep an eye on that issue as well. Don’t be afraid. You may not hear any sound coming or getting too much noise coming out from the fridge. You may also face situations where the light is turned on yet there is no coolness inside. These cases may not be the evidence of breakdown, instead just the beginning. Address these issues as early as possible to enjoy uninterrupted service.